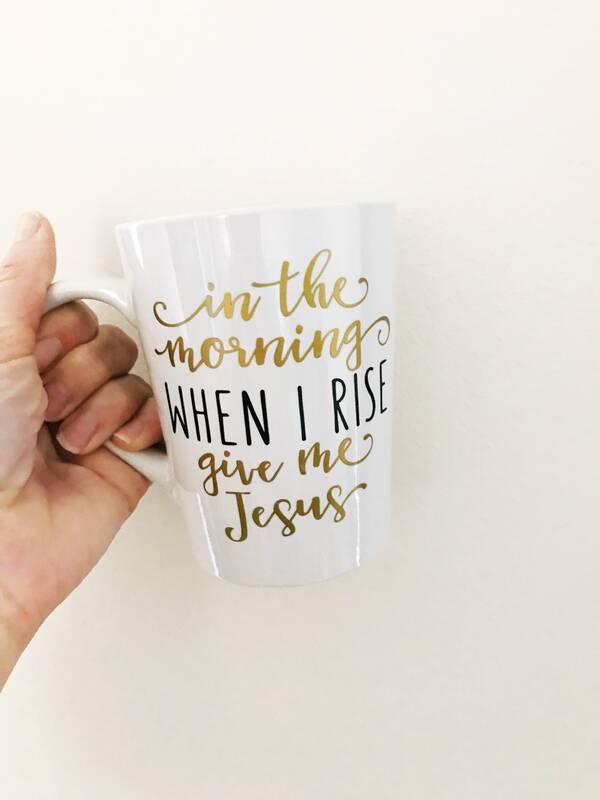 “In the morning when I rise, give me Jesus”. 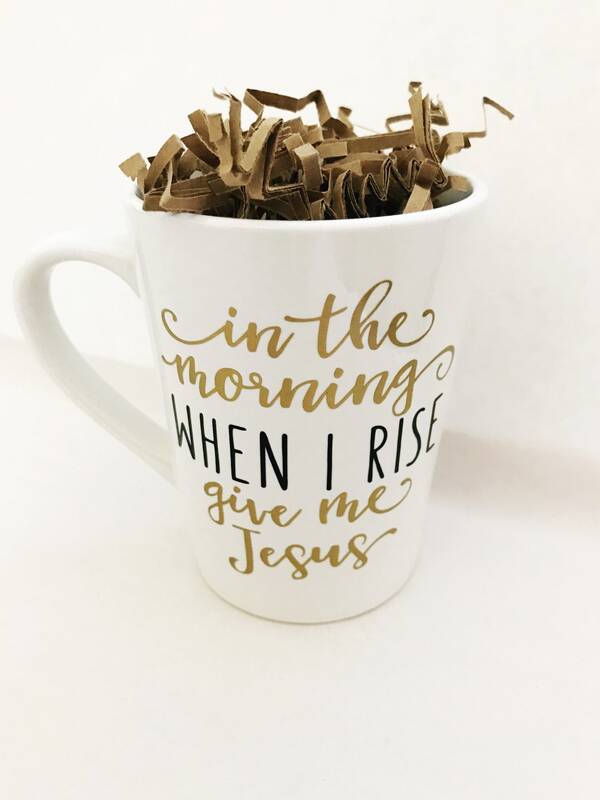 14oz white coffee mug with black and gold permanent vinyl. 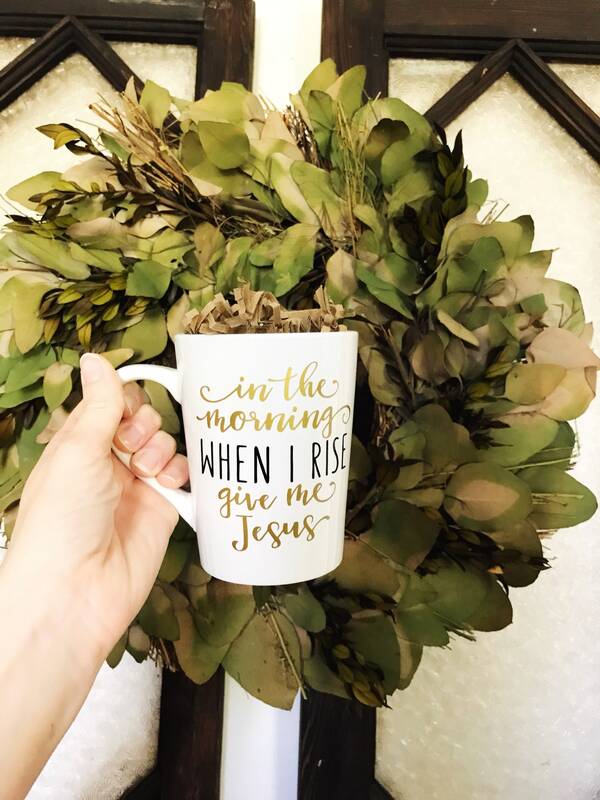 This mug would be a great gift for any mom, dad, grandparent or best friend. Enjoy your time in the word while enjoying your morning cup of coffee.